It’s a fact that with the economic downturn, crime rates in the Bay Area have increased. This not only includes burglary, robbery and vandalism, but employee theft is at an all-time high. As a business owner, you need to protect your employees, your property and your assets. By installing a hidden (or visible) CCTV surveillance and security system, you’ll have a greater peace of mind that your money isn’t walking out the door. The security cameras can record everything that happens at your business, whether it’s in the parking lot, in the back or anywhere on the premises. 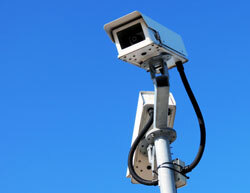 It’s crucial to work with an experienced and qualified security camera system installer. They’ll help you evaluate exactly what you need in a system, what cost restraints you have and identify system options that will fit your exact needs. After all, your business is unique, and cookie-cutter approaches won’t work in all situations. Contact GENTEC Services at (925) 954-9780 today to start protecting your most valuable assets with a security camera system.